崔贞, 傅宗甫, 马广钢, 等. 孔堰流分流点竖向位置实验探究[J]. 哈尔滨工程大学学报, 2019, 40(4), 738-745. DOI: 10.11990/jheu.201711031. CUI Zhen, FU Zongfu, MA Guanggang, et al. 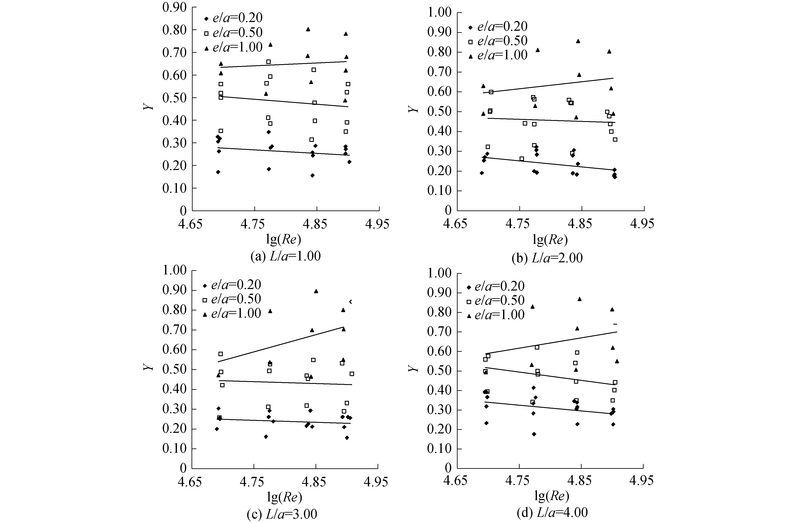 Experimental study onvertical position of diversion point of orifice-weir flow[J]. Journal of Harbin Engineering University, 2019, 40(4), 738-745. DOI: 10.11990/jheu.201711031. Abstract: The position of diversion point is an important index to distinguish the orifice flow and weir flow pattern when they exist simultaneously.To obtain the vertical position of diversion point and better distinguish two kinds of flow states, physical tests were used, and the mathematical expression of the diversion point between orifice flow and weir flow was obtained through analysis and comparison of different parameters.First, based on the theory of hydraulics, Rayleigh method was used to obtain the dimensionless parameters affecting the vertical position of diversion point.The correlational relationship between the vertical position of diversion point and dimensionless parameters was obtained, and the sensitivities of parameters were compared.Then, five mathematical models were obtained based on the least square method using different parameters.The optimal model of the vertical position was obtained by comparing statistical indicators.Finally, the optimal model was examined and compared with the experimental result; it was found that the model can be used to accurately describe the vertical position of diversion point.The obtained model of the vertical position of diversion point can be used in practical engineering and can provide a basis for research on the discharge capacity of relevant water conservancy projects. 徐岗, 王月华. 水力自控翻板闸门泄流量计算探讨[J]. 浙江水利科技, 2014, 42(2): 62-65. 潘攀, 魏振磊, 尚岳全, 等. 斜倾盖板水石分流池的分流能力分析[J]. 浙江大学学报:工学版, 2016, 50(8): 1456-1462. 叶镇国. 水力自控翻转闸门过流特性[J]. 湖南大学学报, 1984, 11(3): 58-75. 叶镇国. 水力自控翻板闸门泄流水力关联理论[J]. 湖南大学学报, 1994, 21(3): 98-105. 潘梦钦, 林宗燊, 谢佩珍. 双层泄水建筑物泄流能力试验研究[J]. 福州大学学报, 1984(3): 67-77. 华子平. 对淹没宽顶堰泄流能力计算公式的探讨[J]. 河海大学学报, 1998, 26(3): 97-101. 李国斌, 高亚军, 陈月华, 等. 韩国Janghang海堤工程防洪闸泄流能力试验研究[J]. 水利水运工程学报, 2006(2): 13-17. 李乃稳, 许唯临, 周茂林, 等. 高拱坝坝身表孔和深孔水流无碰撞泄洪消能试验研究[J]. 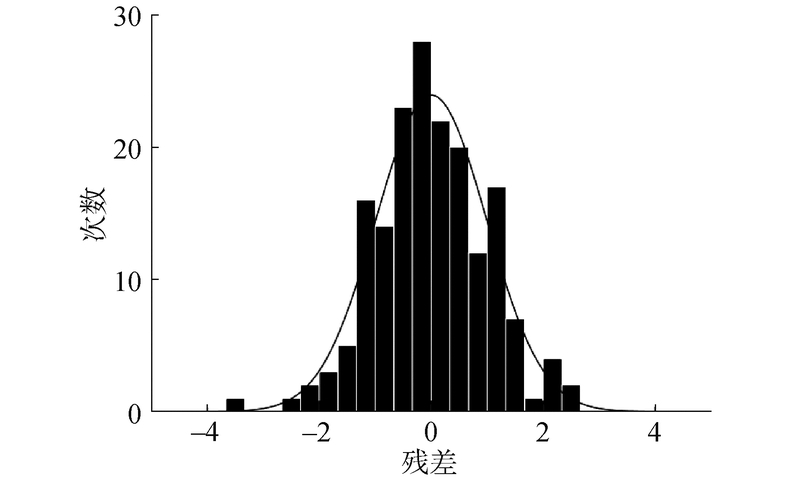 水利学报, 2008, 39(8): 927-933. 李国栋, 李珊珊, 牛争鸣. 表孔、底孔联合泄洪流场数值模拟与冲刷趋势分析[J]. 四川大学学报:工程科学版, 2016, 48(3): 26-34.